We can compare, the computer system, hardware and software with human and human intelligence respectively. All the activities of human body like running eating, speaking are based on the thoughts and feeling raised by the brain. All these actions are initiated and controlled by our brain. If the brain doesn't raise such feeling and control, we will be idle and cannot do anything. Similarly, computer system (Hardware) is also initiated and controlled by the set of programs called software. Programs are the collections of data and instructions in a systematic order to perform some work. A set of the program, which are specially written to provide the user a precise functioning like solving a specific problems is termed as a software package. For example word, processor package helps to create the documents, save the document, modify and print the documents. "Software is the collection of program and other associated documents that help to control, manage and integrate the components of a computer system to accomplish a specific task." Software that helps to activate the computer system and provide a common platform to operate the computer system by the user is called OS. It is the first layer of software loaded into computer memory at the time of booting (Start Up). The main function of OS is to manage the disk access, files process etc. Another software is loaded in the environment of OS. 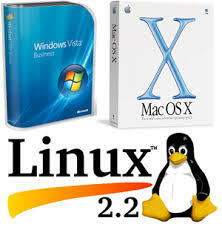 Windows XP, Linux, MS-DOS etc are popular OS. As we discuss, system software helps to activate and recognize the computer hardware devices. To activate and recognize the hardware devices computer system requires special software called device drivers. To work with all devices, we need this software. For example to work with the modem, printers we have to install their driver software then only these devices will work. Until we install a device driver, OS will not recognize the device connected to the system. Translator program is a computer program that converts the programming instructions written in human convenient form into machine codes. The computer is digital devices. It can work only on the digits which are 0 to 1. All the commands, data, and instructions are required to be converted into machine code which is the combination of 0's and 1's. Different types of programming languages accept the data and instructions on natural language like English. But a computer can not process such data and instructions in natural language. So they should be translated into machine code. To convert such natural language. So they should be translated into machine code.According to the nature and application processing we have three types of language translators. Compilers: Translator systems that compile the whole program and translate it into machine code at a time are compilers. This translator translates whole program at a time and creates object code then executive code. E.g.C Program, Pascal etc. Interpreters: A translator that can convert the source code (Program code) in linear manner without looking at an entire program at a time. It translate each statement or lines at one time and translate another line only after completing previous line. E.g. Beginners All-Purpose Symbolic Instruction Code (BASIC). Assemblers: It is a translator that can convert the assembly level language into machine code. It is also called source program. Utility software helps a computer to work accurately and diligently. Any utility helps to restore backup on a computer, it also discard expired and unnecessary files in a computer. Some utility software recovers data, manage files, protect against computer virus and it also neutralizes virus from computer. 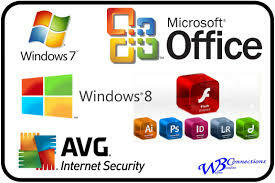 Some utility software are attached with an operating system, such operating system is a text editor, backup utility, disk defragmentation and anti-virus. Programs are the collections of data and instructions in a systematic order to perform some work. The software is the collection of program and other associated documents that help to control, manage and integrate the components of a computer system to accomplish a specific task.The software can be divided into two types. They are: system software and application software. The software that helps to activate the computer system and provide an operating environment for other application software is called system software. It can be categorized into three types: operating System (OS), device drivers, languages translator(compilers, interpreters, and assemblers) and utility software. The main function of OS is to manage the disk access, files process etc. Assembler is also called source program. What is software? What are the major types of software? What is system software? What are its types? What is language processor (translator)? Write examples. The program which translates the program written in any programming language to machine level language is known as language processor or translator, e.g. compiler, interpreter, assembler etc. Differentiate between compiler an interpreter? 2. It is difficult to debug. 2. It is easy to debug. Write short notes on assembler. Assembler is a language processor which translates the assembly language program into machine language, e.g. pseudo assembly. ________ is a translator that can convert assembly level language into machine code. Translator systems that compile whole program and translate it into machine code at a time are ___________. The software that helps to activate the computer system and provides an operating environment for another application software is called _________. A set of program, which are specially written to provide the user a precise functioning like solving a specific problems is termed as a ____________. Software that helps to activate the computer system and provide common platform to operate the computer system by the user is called __________. _______ is a computer program that converts the programming instructions written in human convenient form into machine codes. _________ are the collections of data and instructions in a systematic order to perform some work. what is the features of word procrssing package. features of word processing package. Any Questions on 'System Software '?